Multiple choices exist for:SUZUKI VITARA 1.6 Fuel Pump. FOR SUZUKI VITARA. Vehicle compatibility. PART CHOICE ALERT. Part specifications. SUZUKI VITARA Fuel Pump ADK86807 1.6L. Intake Manifold Injection/ Carburettor. SUZUKI VITARA (ET, TA) (TA, TA01, TD01) 07/88-12/98. BOSCH WIPER BLADES & MOTOR. CHAMPIONS WIPER BLADE. BOSCH IGNITION & FUEL PARTS. HYUNDAI 311111G500, 311112D000, 311112D050. KIA 311112D000. HYUNDAI i30 (FD) 1.4 Hatchback Petrol 10/2007 11/2011 FWD 16 109 80. HYUNDAI i30 Estate (FD) 1.4 Estate Petrol 11/2009 06/2012 FWD 16 109 80. 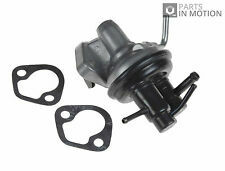 SUZUKI VITARA Fuel Pump ADK86811 1.6L. Intake Manifold Injection/ Carburettor. SUZUKI VITARA (ET, TA) (ET) 07/88-12/98. BOSCH WIPER BLADES & MOTOR. CHAMPIONS WIPER BLADE. BOSCH IGNITION & FUEL PARTS. APEC BRAKE DISC & PADS KIT. SUZUKI 15100A60A01000. SUZUKI 15100A60A01. SUZUKI 15100A60A00. SUZUKI 15100-60A01. Part Number : ADG06816. Wash & Wipe. Be aware that your Model of Vehicle may have a choice of 2 / 3 different Fuel Pump Options. Such variations can apply due to upgrade designs on later chassis numbers, or the manufacturers using different OEM suppliers during production process. Part Number : ADK86811. Wash & Wipe. Be aware that your Model of Vehicle may have a choice of 2 / 3 different Fuel Pump Options. Such variations can apply due to upgrade designs on later chassis numbers, or the manufacturers using different OEM suppliers during production process. HONDA 17040S01A30, 17040S01A31, 17040S04940, 17040S04941, 17040S04G30, 17040S04G31, 17040S04G40, 17040S04G41, 17040S10A00, 17040SR2930, 17040SR2931, 17040SR2A30, 17040SR2A31, 17040SR2A32, 17040SR2A33, 17040SR2J30, 17040SR2J31, 17040SR2Y30, 17040SR2Y31, 17040SV1A30, 17040SV1A31, 17040SV4A30. 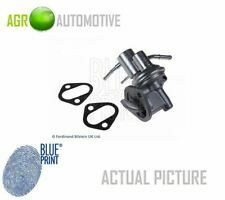 Blue Print Fuel Pump Vauxhall Monterey Honda Accord CR-V 4WD CRX Civic ADG06816 - Free Delivery from Simply Car Parts - Brand New BluePrint part - 3 Years Manufacturers Warranty. Auto parts vehicle selection model type / key number / KBA number. BLUE PRINT fuel pump. SUZUKI 15100-85501. Affordable quality products. Due to the enormous variety of parts the factory installed parts, it is technically not possible to bring any vehicle specification in our vehicle Association. Auto parts vehicle selection model type / key number / KBA number. BLUE PRINT fuel pump. SUZUKI 15100-83000. SUZUKI 15100-83010. SUZUKI 15100-A83000. SUZUKI 15100B 83000. Affordable quality products. Due to the enormous variety of parts the factory installed parts, it is technically not possible to bring any vehicle specification in our vehicle Association. 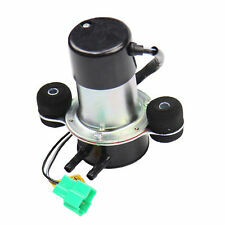 Fuel Pump Fit with SUZUKI SUPER CARRY ADK86806 1.0 07/85-03/99. Intake Manifold Injection/ Carburettor. Petrol / Bus / Rear Wheel Drive. Fuel Pump Assembly. FUEL TYPE / BODY TYPE / DRIVE TYPE. We will be happy to resolve any issues you may have in a cordial and friendly manner. Intake Manifold Injection/ Carburettor. Petrol / Bus / Rear Wheel Drive. MIXTURE PREPARATION High Pressure Fuel Pump. Fuel Pump Assembly. FUEL TYPE / BODY TYPE / DRIVE TYPE. Fuel Injector. We will be happy to resolve any issues you may have in a cordial and friendly manner.